PUT THE "A" IN STEAM! STEAM is an acronym for Science, Technology, Engineering, the Arts, and Mathematics. STEAM PROGRAMS are designed to integrate science, technology, engineering, art, and mathematics in the classroom to encourage students to think critically and problem solve in a creative way. Although some might think that science and math are the opposite art, both involve a “process” and a “product.” Both require students to think creatively and critically. STEAM is also complimentary to the 4 C’s of 21st Century Skills: creativity, collaboration, critical thinking, and communication. After over 4 decades as an educator, I see shadows of the integrated curriculum, constructivism, as well as the project approach in STEAM. I also see STEAM as providing a balance to our obsession with skills and standardized tests. Take a look at some of the projects below. 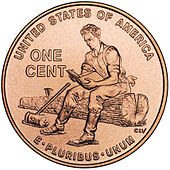 Couldn’t you use one of these instead of a test or worksheet to extend a story or a unit of study? These projects would also provide children with the opportunity to collaborate with a partner or small group. 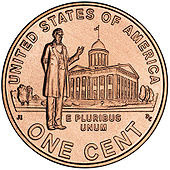 Abraham Lincoln was my father's favorite President. I mean, who wouldn't fall in love with a guy born in a log cabin who had to walk miles to school in the snow? 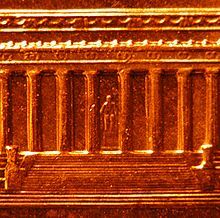 As an adult, the more I learned about Lincoln, the more my heart ached for the tragic personal life this great leader endured. As with many, he has received increased love and respect since his passing. Here’s one of my favorite cards you can make from a flip book. Fold a sheet of paper in half lengthwise (hotdog). Fold in half again (hamburger). Fold again (juice box). 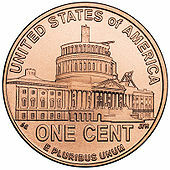 Open and cut down three creased lines to the center fold as shown. Fold in half to make little flips you can lift up. But a gift from the heart is the best gift of all. *Glue the child’s photo or let them draw their picture on the inside. You will need a large paper grocery sack and envelopes for this game. Cut the top half off the grocery sack and write “Special Delivery” on it. Cut a paper strip 2” by 15” and staple it to the bag to make a handle. Write each child’s name on an envelope and place it in the mailbag. 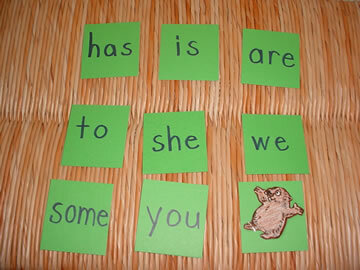 One child is “it” and skips around the room as you sing the song below. At the end of the song, “it” reaches in the bag and chooses an envelope. “It” delivers the envelope to that child and they exchange places. The game continues until each child has had a turn and received an envelope. A letter's on its way. Stir and knead all ingredients well. Store in a zip bag. *Use other flavors of Kool-Aid to tie in with themes and seasons. For example, lime for St. Patrick’s Day, orange for Halloween, etc. *Children will also be thrilled with surprise dough balls. Prepare the dough mixture omitting the Kool-Aid. Make small balls from the dough and stick your finger in the middle of each ball to make a hole. Sprinkle the Kool-Aid in the hole and seal. As children squeeze the dough – SURPRISE – a color will appear! 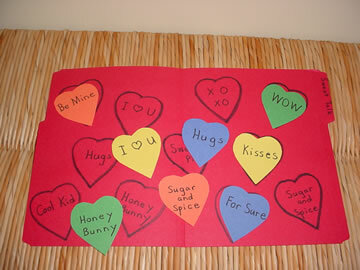 Conversation Hearts – Conversation hearts are good to sort, count, read, and eat! Note! Remind children that the hearts you use for games in the classroom are NOT to eat because they will have lots of germs. They will get some special ones they can eat at the Valentine party. *Make a game by cutting paper hearts out of construction paper. 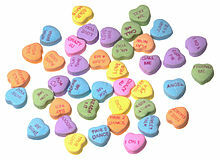 Write like phrases found on candy hearts (such as “Kiss Me, “Cool One,” “WOW!” “Cutie Pie”) on two of the hearts. 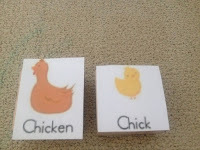 Glue one to a file folder and then have children match and read the ones that go together. 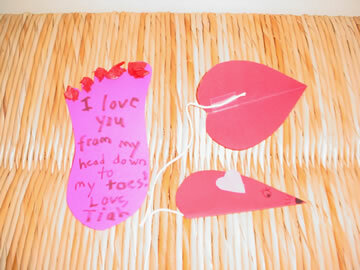 *Glue paper hearts with phrases to 3” squares to make a memory game. Blah, blah, blah to rigor and instructional time! 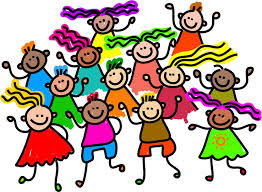 All children deserve a little fun and play at the end of the week. Here’s the “Friday Dance” and a few suggestions to give your students something to look forward to this week. It’s time to do the Friday dance. Let’s all do the Friday dance. Friday afternoon let children switch places and sit wherever they want Friday afternoon. Let children bring board games (NOT video games) from home on Friday and play with their friends the last 30 minutes of the day. *Invite parent volunteers or an older class to help with the games. *Set up 4 or 5 different games, divide students into groups, and then let them rotate every 15 minutes to a different game. We always looked forward to dress up days. Pajama parties, beach day (Yes, in January! ), what I want to be when I grow up, hat day, sports day, and silly sock day are just a few ideas. *You can always tie these into standards by having children dress up like a favorite book character or a hero. WILL I SEE MY SHADOW? Well, it won't be long until the groundhog makes his appearances and we'll know if spring will be early this year. El Nino has been playing weather games all over the United States, so who knows???? Where’s the Groundhog? – Cut twenty 4” squares out of heavy paper. Write high frequency words, math facts, letters, etc. on the cards. Make a copy of the attached groundhog. Have the children sit on the floor in a circle. Mix up the cards and place them face up on the floor. Identify the word (etc.) 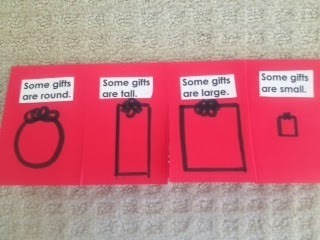 on each card as you place it down on the floor. Tell the children to turn around. Hide the groundhog under one of the squares. Children turn back around and try and guess where the groundhog is hiding. One at a time children call out a word and then “peek” to see if the groundhog is under it. The first child to find the groundhog gets to have a turn hiding it. 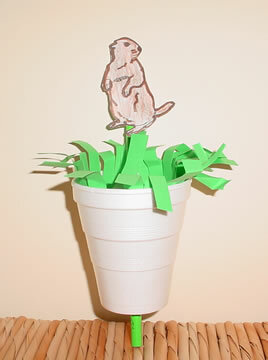 The game continues as children hide the groundhog and then try to discover his whereabouts. A mnemonic device helps you recall how to spell a word or how to remember a string of words or a phrase that stands for more complicated information. I can remember my fourth grade teacher standing at the board saying, “My father taught me how to spell geography by saying George Elliott’s Oldest Girl Rode A Pig Home Yesterday.” Some days I can’t remember my phone number, but I’ll never forget how to spell geography! I’m sure all of you have a similar experience and can attest to the power of these clever tricks. 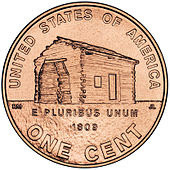 Homes – The Great Lakes are Huron, Ontario, Michigan, Erie, and Superior. Planets – My (Mars) very (Venus) eager (Earth) mother (Mars) just (Jupiter), served (Saturn) us (Uranus) noodles (Neptune). Roy G. Biv – He’s your friend when it comes to the color spectrum. Continents – Eat (Europe) an (Antarctica) aspirin (Asia) after (Africa) a (Australia) nutty (North America) Sandwich (South America). Which hath but twenty-eight, in fine, till leap year gives it twenty-nine. *Hold up knuckles on both hands. Point to the knuckles as you name the months. The months with 31 days will be the tall knuckles and the months with 23 or 30 days will be the lower spots in between. Multiplication by Nine – Hold up ten fingers. 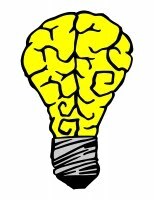 Do you have any mnemonic devices tucked away in your brain? I’d love to hear about them. This book is a little more complicated than some of my books, but it's perfect when you want your students to "publish" something special they have written. I've made this book with children as young as five, but it always works best to do it with a small group. That way you can help them with the folds and the more difficult steps. Directions: Fold one sheet of paper in half. (That's your taco.) Cut off the creased edge about 1 1/2" from the top and the bottom of the fold. Now, take 2-5 additional sheets of paper (you can vary this for the number of pages you want in your book). Fold them in half. Cut down 1 1/2” from the top and bottom of the crease. Roll up lengthwise like a burrito and insert in the hole you cut out of the taco. Unroll, fold in half, and you’ll have a book. Finally, take a sheet of construction paper and fold it in half. 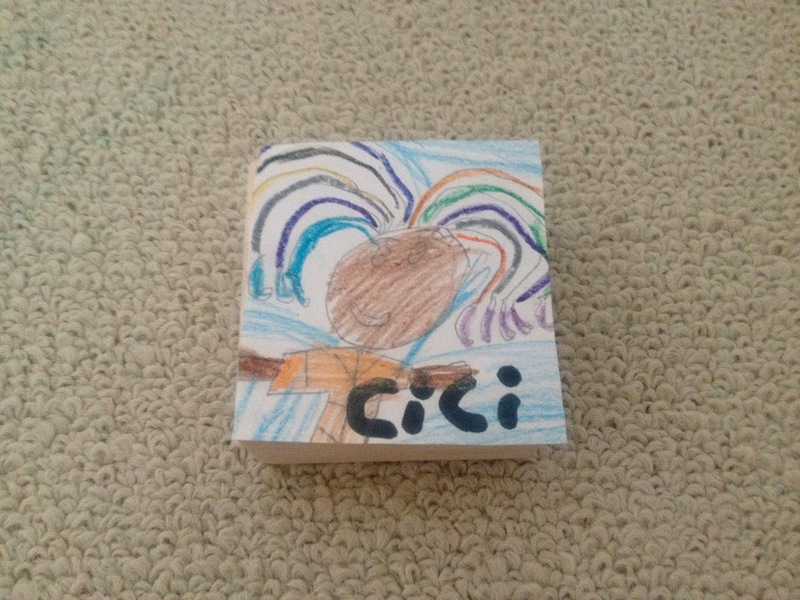 Glue all over the inside of the construction paper and then insert your book and rub. 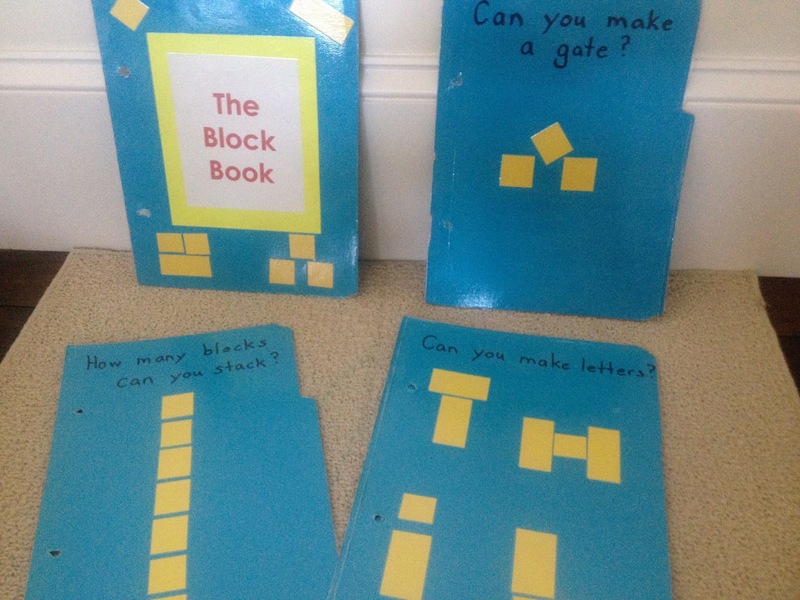 You can even use blocks to enhance science and social studies! Life Cycle – Cut out pictures of the life cycle of a butterfly, frog, pumpkin, etc. and tape them to blocks. 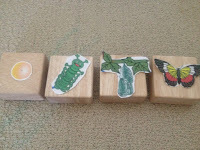 Children order the blocks and then orally tell a story. Animal Families – Cut out pictures of mother animals and tape them to blocks. Tape pictures of baby animals to other blocks. Can children match them up? You could also make a game where children match animals and their homes. Solar System – Write “SUN” on a paper plate. Write the planets in the solar system on paper and tape to blocks. Children order the planets from the sun out. Layers of Rain Forest – Write the layers of the rain forest or deciduous forest on paper and tape to blocks. 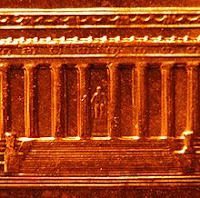 Can children build the layers? Can they illustrate the layers and label them? Habitats – Use blocks to create different animal habitats. 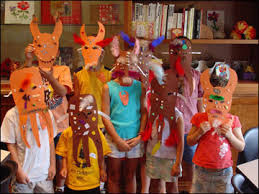 Provide plastic animals and vegetation or let children make their own from play dough or art media. Maps – Use blocks to create maps of the classroom, school, neighborhood, or community. 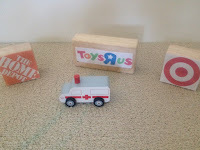 Community Helpers – Draw community helpers and tape to cylinder blocks. 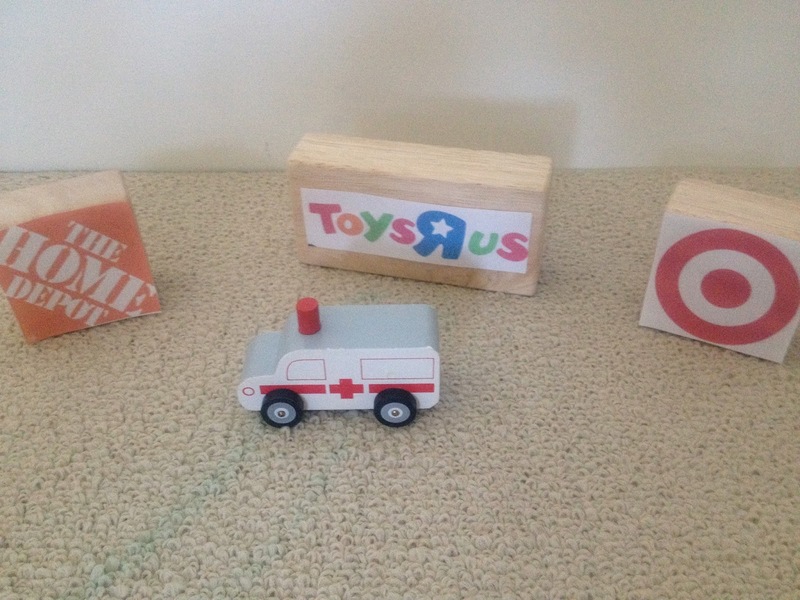 Create work spaces for different community helpers from blocks. Homes – Cut out pictures of homes from different parts of the world and encourage children to replicate them with blocks. Encourage children to think about different building materials used and how homes reflect their habitat. 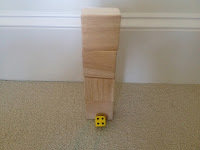 Tower Topple – This is a game children can play by themselves or in a group. First child places a block on the floor. Second child places a block on top of the first block. 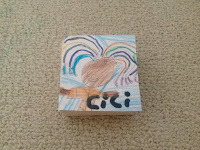 Third child selects another block and places it on top of the first two. The game continues as they try to build as high as they can before the tower topples. *Hint! Encourage them to estimate how many blocks they can stack. Did they do more or less? 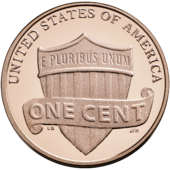 Copy Cat – Children work with a partner for this activity. 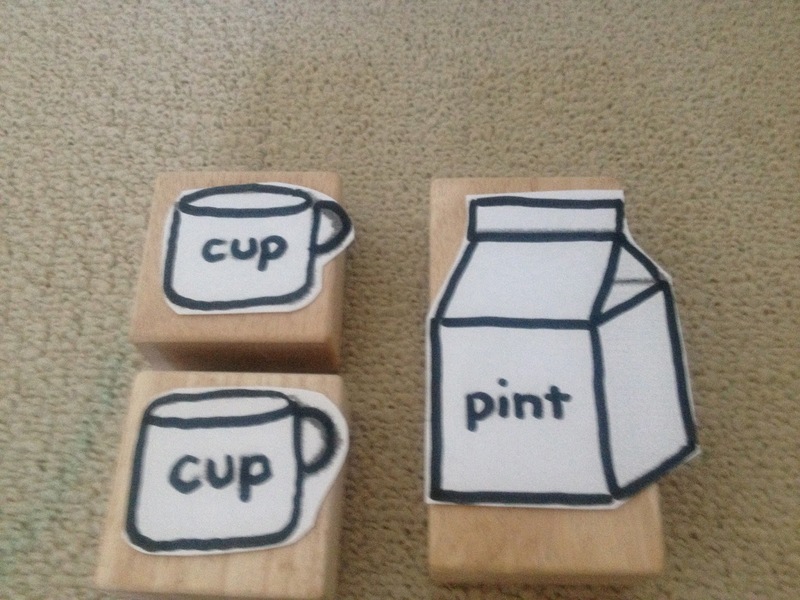 One child builds something using blocks while the second child observes. The second child then tries to reproduce what the first child built. Exchange roles. Hint! You might want to limit them to 5-10 blocks. 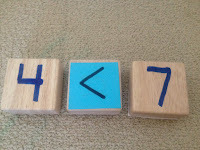 Children need hands-on experiences with concrete objects like blocks in order to develop math concepts. 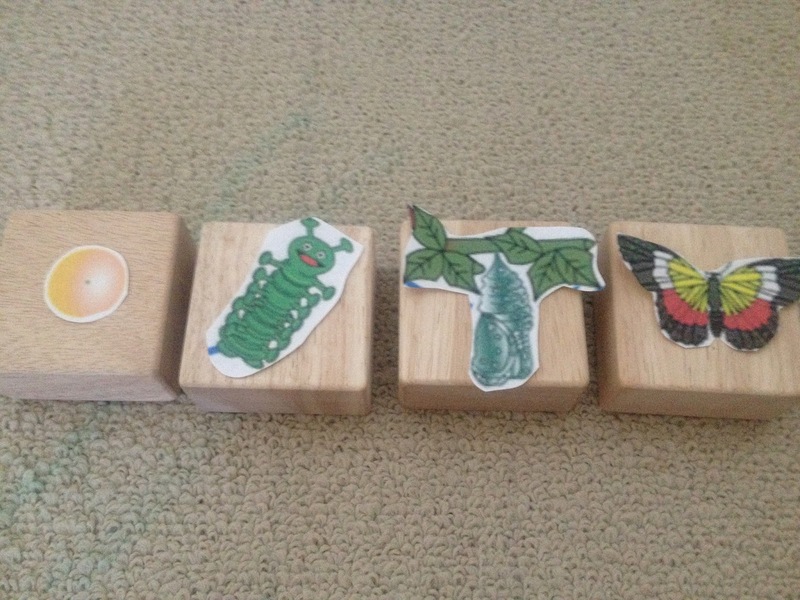 Sorting – Can they sort like blocks together? Can they regroup the blocks by another attribute? 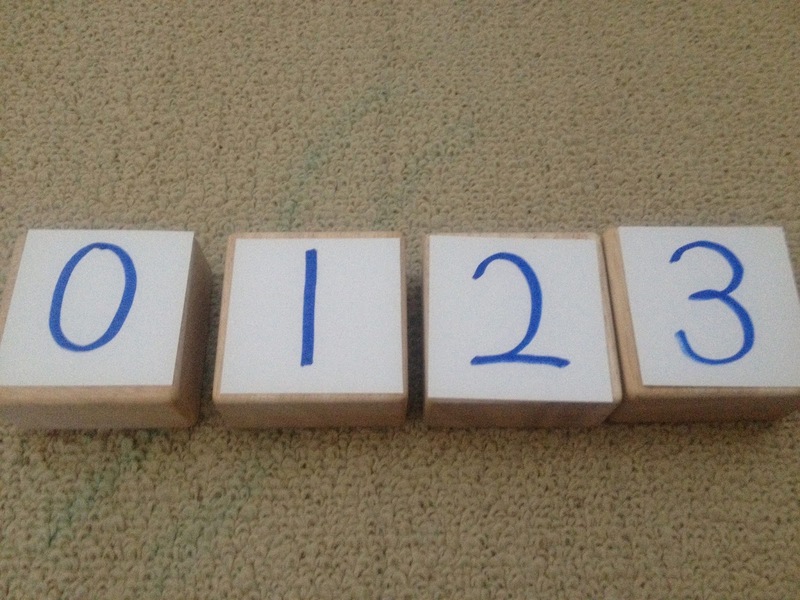 Numerical Order – Write numerals 0-10 on 2 ½” x 5” pieces of paper and attach to blocks. Can they put the blocks in order? 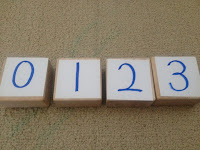 Sets and Numerals – Write numerals, number words, and sets on blocks for children to match. 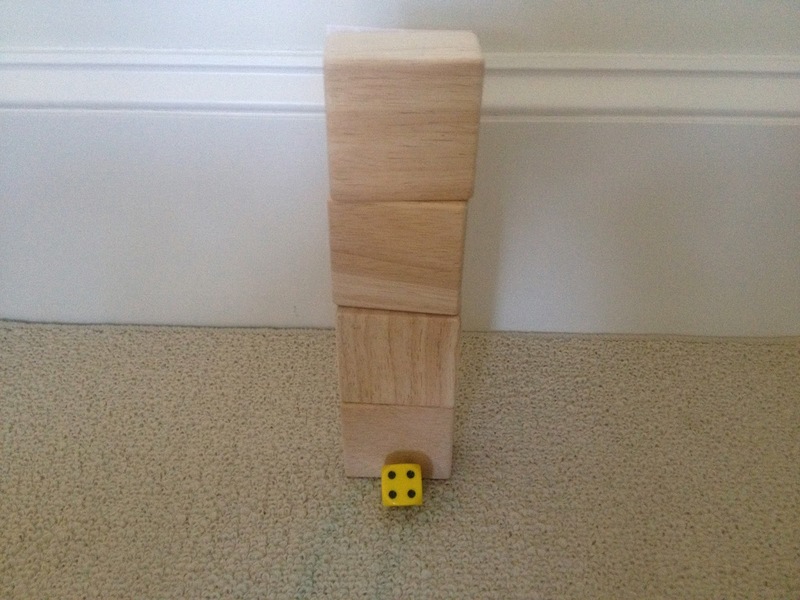 Roll and Stack – Children take one or two dice and roll. They select that number of blocks and stack them as tall as they can. 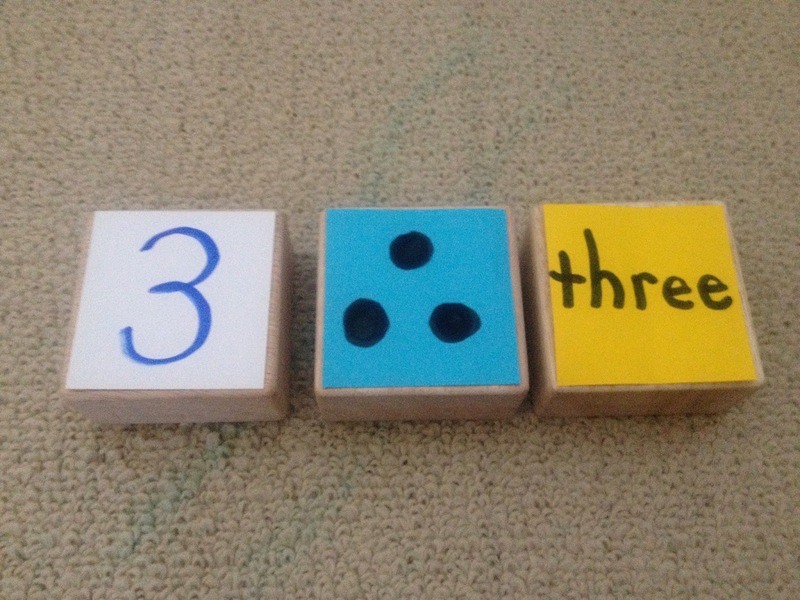 Counting – How many blocks can you stack? 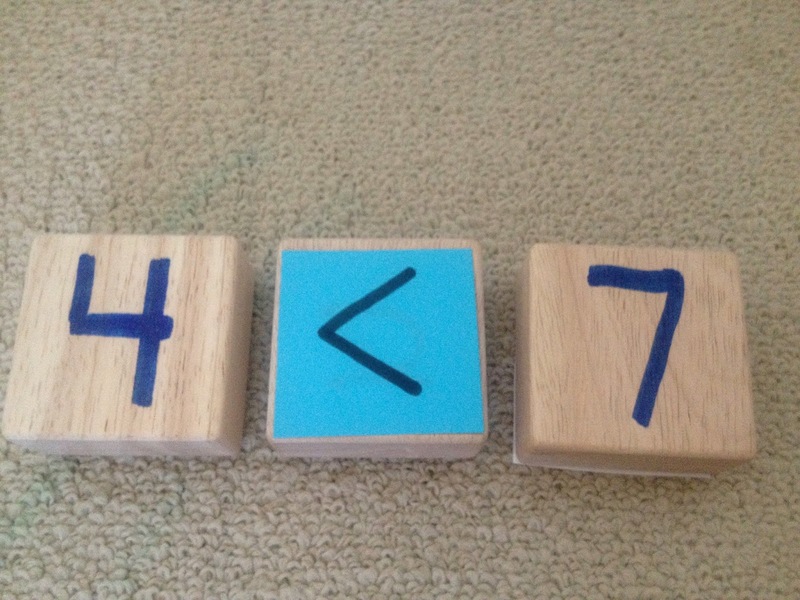 Math Signs – Write inequality signs, =, +, and – on pieces of paper and attach to blocks. 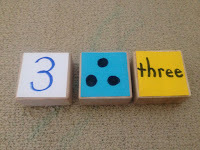 Children can build equations and practice addition and subtraction with the numeral blocks and signs. 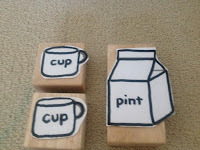 Liquid Measurement – Write “cup” on two square blocks. Write “pint” on a rectangular block. How many cups in a pint? Fractions – What would happen if you cut the square block in half? What would happen if you cut the rectangular block in half? How many ways can you make the square block? Rectangular block? Measure Up – Children lay on the floor as friends take unit blocks and measure how many blocks long they are. Use different size blocks and compare. Graphing – Have children draw their faces on 2 ½”” squares. Tape to blocks. Use for comparing and graphing. For example: You could have a picture of a bus, feet, and a car. Children place their block under the way they travel to school. Which one is more? Less? How can we tell for sure? Block Book – Cut small shapes out of construction paper to represent the different unit blocks. Glue these to a file folder to make structures similar to the ones shown. Hole punch to create a book. Children look at the drawings and then try to duplicate them with blocks. CAN STANDARDS "PLAY" WITH BLOCKS? LET'S GO CAMPING - IN ARMENIA?? ?